AAA International Security Consultants LLC provides state of the art consulting, training and curriculum development, and research services in the areas of counter terrorism, counter terrorist financing, anti-money laundering, , financial integrity of the Asia-Pacific region, India political risk management, and US-India Counterterrorism Cooperation. The first A in AAA stands for Academic Rigor. The second A in AAA connotes Application. The third A in AAA symbolizes Action. At AAA International Security Consultants LLC, we Apply Academic rigor to help optimize the performance of those engaged in Action relating to the practice of international security. Amit Kumar is the President of AAA International Security Consultants LLC. 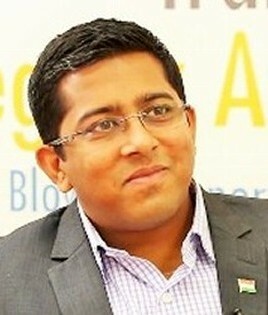 Widely recognized as an international security expert in counterterrorism and counter-terrorist financing, Mr. Kumar is also a Senior Fellow with the Anti-Money Laundering Association (AMLA), an Adjunct Associate Professor at the Edmund A. Walsh School of Foreign Service at Georgetown University, a lecturer for the Graduate Certificate in Homeland Security Program at the Bush School of Government & Public Service at Texas A&M University, and an International Associate with the Society for Policy Studies, New Delhi, India. Mr. Kumar till recently also served as the Fellow for Homeland Security and Counterterrorism at the Center for National Policy for several years. Mr. Kumar previously worked with the Al-Qaida Taliban Sanctions regime at the United Nations where he offered substantive advice to the Al-Qaida and Taliban Sanctions Regimes on matters related to the implementation of Assets Freeze Sanctions measures against the Al-Qaida and Taliban, as well as issues relating countering the financing of terrorism. He earned a Doctorate in Public Administration from American University in Washington D.C; a Masters in Philosophy in American Studies from the Jawaharlal Nehru University, New Delhi; and a Masters in International Business from the University of Delhi. Amar J Kumar has been a practicing professional with extensive experience in railroad, petroleum, and financial services industries. His particular expertise resides in the areas of transportation and logistics management, information technology, and data integrity and data base security. 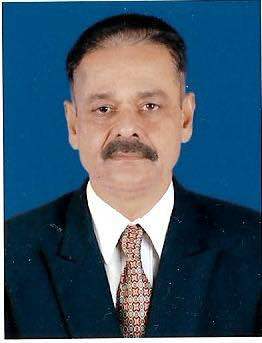 During his long management, and consulting career he worked as a chief executive of Center for Railway information systems, Executive Director Oil Coordination Committee in the Government of India, a member of Railway Board. As an informatics consultant for The World Bank, Washington, he has handled some key consulting assignments in the Europe and Central Asia regions. He has also consulted in financial services and real estate sectors in USA. Mr. Kumar brings to focus his grasp of the intricate management and financial processes that are critical to the successful running of the enterprises. By virtue of his keen intellect and insight, he is able to identify the problem areas that impinge on data integrity, data privacy, and cyber security. He has demonstrated leadership potential in leading several study teams in international settings. Mr. Kumar holds a Degree in Engineering, a Master’s Degree each in Business and in Information Science from University of Hawaii and a PH D in Transportation and logistics management. He has published several papers and has been an invited speaker in several international conferences. 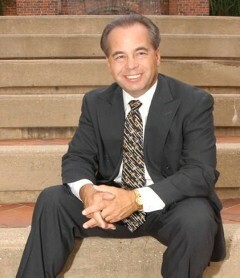 John Cassara began his 26 year government career as an intelligence officer during the Cold War. He later served as a Treasury Special Agent in both the U.S. Secret Service and US Customs Service where he investigated money laundering, trade fraud and international smuggling. He was an undercover arms dealer for two years. Assigned overseas, he developed expertise in Middle East money laundering, value transfer and underground financial systems. He also worked for six years for Treasury’s Financial Crimes Enforcement Network (FinCEN) and was detailed to the Department of State’s Bureau of International Narcotics and Law Enforcement Affairs. Mr. Cassara's final assignment was with Treasury's Office of Terrorism and Financial Intelligence (TFI). Since his retirement, he has lectured in the United States and around the world on a variety of transnational crime issues. He is also a consultant for government and industry. 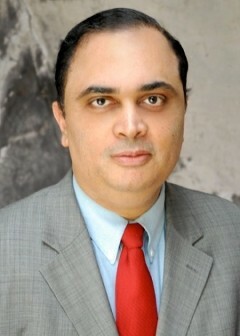 Mr. Cassara has authored or co-authored several articles and books, including Hide and Seek, Intelligence, Law Enforcement and the Stalled War on Terrorist Finance, On the Trail of Terror Finance – What Intelligence and Law Enforcement Officers Need to Know, Demons of Gadara, and Trade-Based Money Laundering: The Next Frontier in International Money Laundering Enforcement. Marvin G. Weinbaum is professor emeritus of political science at the University of Illinois at Urbana-Champaign, and served as analyst for Pakistan and Afghanistan in the U.S. Department of State’s Bureau of Intelligence and Research from 1999 to 2003. He is currently a scholar-in-residence and Director of the Pakistan Center at the Middle East Institute in Washington DC. Professor Weinbaum has his doctorate from Columbia University in 1965, his MA from the University of Michigan in 1958, and his BA from Brooklyn College in 1957. In 1965 he joined the faculty of the University of Illinois at Urbana-Champaign. At Illinois, Dr. Weinbaum served for fifteen years as the director of the Program in South Asian and Middle Eastern Studies. He was awarded Fulbright Research Fellowships for Egypt in 1981–82 and Afghanistan in 1989–90, and was a senior fellow at the United States Institute of Peace in 1996–97. After retiring at Illinois, Professor Weinbaum has held adjunct professorships at Georgetown and George Washington universities, and has frequently lectured at the U.S. Foreign Service Institute. Dr. Weinbaum's research, teaching, and consultancies have focused on the issues of national security, state building, democratization, and political economy. He is the author or editor of six books, including South Asia Approaches the Millennium: Reexamining National Security, co-edited with Chetan Kumar in 1995, and Afghanistan and Pakistan: Resistance and Reconstruction in 1994. 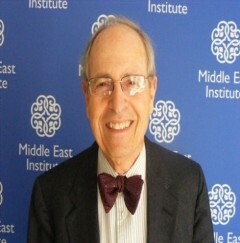 Dr. Weinbaum has also written more than 100 book chapters and professional journal articles, mostly about Pakistan, Afghanistan, and Iran, but also on Egypt and Turkey. He is author of numerous opinion pieces in leading American newspapers and magazines, and many think-tank reports. Among his very recent publications are book chapters in edited volumes dealing with the U.S.-Pakistan relations, Pakistan’s political future, and state building and the security challenges in Afghanistan. His most recent journal article is on ties between Pakistan and Saudi Arabia and appears in the Middle East Journal. 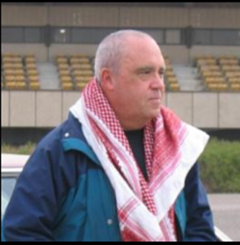 Kyle Olson, founder and president of The Olson Group LTD, is an internationally respected expert on terrorism, homeland security and emergency response who has provided his insights and imagination to government and industry for more than twenty-five years. He has participated at the expert level with the United Nations and in meetings of non-governmental organizations and think tanks around the world. 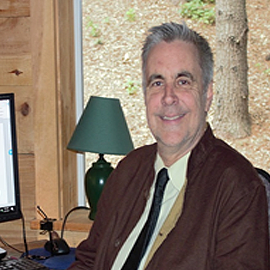 Mr. Olson has contributed to several books on disaster management and arms control and is a frequent guest lecturer at universities and government institutes. He has been a featured expert on terrorism and weapons of mass destruction by major international media, including television networks, newspapers and magazines in North America, Europe, Japan and Australia. 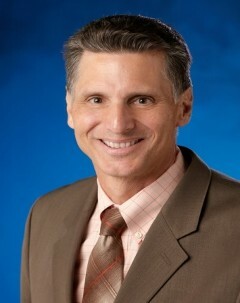 Mr. Olson’s extensive list of clients includes the U.S. Departments of Homeland Security, Defense, Justice, and Labor, the Federal Bureau of Investigation, New York City, Washington DC, Boston, and dozens of US states and cities, as well as several universities and major corporations in the US and abroad. He has worked with law enforcement, intelligence and emergency management authorities to enhance preparations at numerous high profile events, including the Sydney and Salt Lake City Olympic Games. Mr. Olson’s company, OGL, is one of the leading providers of preparedness services in the United States. Mr. Olson has a B.A. in Political Science from Montana State University and a Master of Public Administration from West Virginia University. James R Sutton is a Public Policy Analyst with thirty years’ experience in Public Safety and National Security issues; including leadership roles which require the application of investigation, enforcement and compliance principles, concepts and procedures. In the private sector he served as Manager of Security and Information Protection, International Telegraph and Telephone Corp. assigned to NYC and Brussels, Belgium. 1984-1986, in this assignment he responded to threats against corporation in Europe and Latin America, interviewed public safety and military officers concerning violent activities by domestic violent groups; “Montoneros” and “Tupamaros.” used information to develop appropriate contingency plans and corporate security programs. As Vice President for Security Plans and Programs, Chase Manhattan Bank, NY, he developed crisis management and continuity of operations planning world-wide and collaborated law enforcement investigations on transnational money laundering and suspicious activities. During the 1990’s he was the Director of Asset Protection for Sears Roebuck with responsibility for Mexico, Puerto Rico, and the Western half of the U.S. In the public sector he served as an Special Agent of the Federal Bureau of Investigations working crimes on Indian reservations and liaison with the Royal Canadian Mounted Police (RCMP) Saskatchewan province and as a GS-14 Intelligence Research Specialist with the Department of Justice, Immigration and Naturalization Service, and was the first analyst assigned to the Foreign Terrorist Tracking Task Force (FTTTF) after the attacks of September 11, 2001. After service in Baghdad Iraq, Mr. Sutton served as Director of the Highway Sharing and Analysis Center (ISAC) and the Transportation Security Administration Operations Center in Herndon, VA (Freedom Center) from 2005 to 2009. He is currently engaged as a Subject Matter Expert for a firm he developed, the North American Intelligence Exchange (NAINTELX, Inc.) allied with Executive Security Resources (ESR), Buenos Aires, Argentina providing security and consulting services throughout South and Central America with offices in Guatemala, Colombia, Mexico, and Buenos Aires, Argentina. Navneet Rajan Wasan is an expert on legal issues relating to internal security and counterterrorism. An Indian Police Service officer, he holds a postgraduate degree in International Relations and MPhil from School of International Studies, Jawaharlal Nehru University, New Delhi. He later earned his Law Degree from University of Delhi and Post Graduate Diploma in Management (PGDM) from Management Development Institute, Gurgaon. 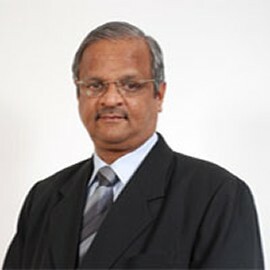 In his over thirty-five years of police service, he has served in different capacities in State of Andhra Pradesh, Central Bureau of Investigation, National Investigation Agency and retired from the service in November 2015 as Director General, Bureau of Police Research & Development, New Delhi. He was decorated with Indian Police Medal in 1996 and with Presidents Police Medal in 2004 for his illustrious service. After five years of district policing at important towns in State of Andhra Pradesh he worked with Central Bureau of Investigation (CBI) over seventeen years and held major assignments which included supervising investigation of corruption related offenses, economic offenses, bank frauds, conventional crime and collection of intelligence. He also supervised the functioning of National Central Bureau, India (INTERPOL). As Special Director and in-charge Director General with National Investigation Agency, a Federal Investigation Agency, he supervised investigation of terrorism related cases. In his stint at CBI & NIA, he has handled issues related to international cooperation in investigation of criminal cases and interacted with several countries on matters of mutual interest. He was closely involved with Central Authority in handling requests for extradition and collection of evidence from other countries under MLATs as well as other regional and multilateral agreements. In his last assignment, he was actively involved in drafting the Model Police Bill and Mutual Legal Assistance in Criminal Matters Bill. He was also one of the members of Expert Committee headed by Mr. VepaKesawam which looked into the issues concerning the functioning of Serious Fraud Investigation Office (SFIO) which submitted its report in April 2009. Another major area of his interest has been use of Information Technology in investigation and police functioning. He conceived and successfully implemented the ambitious IT project while at Central Bureau of Investigation. He has addressed the meeting of heads of NCBs in 2006 at Interpol Headquarters on need for International Cooperation in Cyber Crime and addressed delegates on issues relating to Cyber Crime Investigation at 1st Cyber Security Conference held at Hong Kong in September 2010. He was the key person in organising 7th International Cyber Crime Seminar of Interpol at New Delhi. Vice Admiral Shekhar Sinha retired from the Indian Navy in 2014 as the Commander in Chief Western Naval Command based at Mumbai. His responsibility was the Maritime and Coastal Security in the Arabian Sea, Gulf of Aden, Persian Gulf, Horn of Africa and seas up to 16 degree south latitude. At his disposal was approximately 60 percent of Navy's firepower including two aircraft carriers. Prior to this assignment he was the Chief of Integrated Defense Staff at Integrated Defense Headquarters of the Indian Ministry of Defense (MoD). Defense Intelligence including Signal and Cyber Intelligence was under his charge. He is a Naval Aviator and held assignments of Flag Officer Commanding Western Fleet and Naval Aviation. He is a highly decorated soldier and earned two gallantry awards including one in support of Sri Lankan Navy's war against terror. 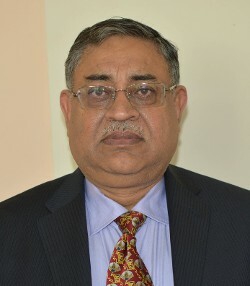 KP Singh, Indian Revenue Service, 1991 Batch is a partner with the AZB Partners firm of Advocates and Solicitors and took Voluntary Retirement as Commissioner Customs, Central Excise and Service Tax. He is a qualified lawyer and specializes in Indirect Taxes, in particular Customs, Central Excise, Service Tax, Narcotics, including Money Laundering, Economic Offences, GST, and Special Chemicals, Organisms, Materials, Equipment and Technologies (SCOMET) matters. He has an experience of over 24 years in the field of Indirect Tax including over 23 years of experience with the Indian Customs, Central Excise, Service Tax Department as class 1 officer, where he held several important positions. These include Assessment, Audit, Investigations, Enforcement, Vigilance & Anti-Corruption, Search and Seizures. 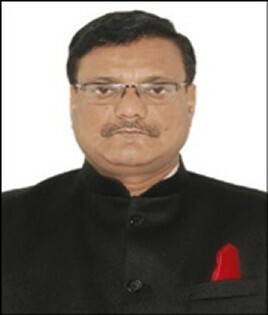 He also represented Revenue Department before Customs Central Excise and Service Tax Appellate Tribunal (CESTAT) for 5 years and remained with the Supreme Court for 18 months handling Enforcement Directorate, Foreign Exchange Regulation Act (FERA) and Conservation of Foreign Exchange and Prevention of Smuggling Activities Act (COFEPOSA) Matters. He has also extensive experience in handling Commercial /Tax crimes, DGFT, Gems & Jewelry, EOU and SEZ matters during the course of his employment with the Ministry of Finance. He has been associated with PHDCCI, ASSOCHAM, CII, FICCI, DPMC, ILI, GJEPC, IBJA as both, a speaker and contributor. He has been regular in Academia and Corporate Circle while advising on AML/CFT Measures based on FATF Guidelines, LBMA Responsible Sourcing and OECD Sustainable Business. He is also currently handling some high profile Enforcement Directorate (ED) Investigations as Partner, AZB. Jiten is heading Indian Infosec Consortium, an independent not-for-profit organization of leading ethical hackers, cyber experts and cyber security communities in India. He is also the co-founder of Voyager Infosec, a cyber security startup specializing in anti-piracy technologies. A leading cyber security expert with specialization in geopolitical intelligence analysis and mapping them to cyber conflicts, Jiten is frequently consulted by Government of India on matters of cyber security and cyber innovations. He is also actively involved in the creation of cyber security framework for India and makes policy recommendations on regular basis. A prominent speaker on national and international cyber security conferences, Jiten is regularly quoted in Indian print and electronic media on global cyber issues. He is also invited by various arms of Government of India including its defense forces to train their cyber professionals. Acknowledging his authority on cyber security Amity University has conferred him Honorary Professorship. Jiten is a visiting faculty at the famed Foreign Service Institute, Ministry of External Affairs. J V Ramamurthy, popularly known as JVR, is a senior professional with nearly 40 years of experience in IT Security, Telecom Security, Banking, IT Manufacturing and Exports. JVR holds an engineering degree in Electronics & Communications, from Guindy Engineering College, and a Master's degree in Applied Electronics from the Madras Institute of Technology, both in Chennai. 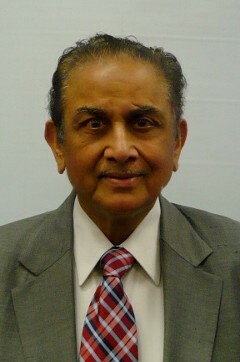 J V Ramamurthy began his career as an aeronautical engineer with Hindustan Aeronautics Ltd. at the Avionics Design Bureau. He then moved on deputation to INAS integration organization, Ministry of Defence & later to SAGEM-Cergy Pontoise, France on Flight Test Integration rigs for Jaguar. He later joined HCL as the Regional Customer Engineering Support Manager in 1988 and went on to head the company's support services. He was appointed as the President & CEO of HCL Office Automation Ltd. in 1998. He subsequently took over as President & COO of HCL Infosystems and served in the board of HCL Infosystems. In all his roles at HCL, he has with his keen insight and vision, re-engineered & re-defined the business organization to optimally utilize its core strengths. He has led some of the large projects with the Central and State Governments during his career. He has been instrumental in rolling out various hardware, security standards and conducting security audits related to Police, Ministry of Home and Ministry of Defence. He has also been associated with various industry associations such ASSOCHAM, FICCI, MAIT, Cellular Association of India, Defence Offset Committee etc. Nicholas C Auclair is Professor of Counterinsurgency/Counternarcotics and Intelligence Studies at the Virginia Military Institute. He previously taught at the American University in Washington DC. Prior to that, Nicholas had a distinguished career in the United States Air Force (USAF) where he served for 8 years as an Intelligence Officer and was stationed in Guam, the Republic of the Philippines, and in DIA headquarters in Washington, DC and then served 12 years as USAF reservist performing duties at the DIA, the Pacific Command region, and in Panama. Concurrently, while working as a USAF reservist, Nicholas served as a senior civilian Intelligence Analyst for the Defense Intelligence Agency (DIA) where he produced intelligence documents for senior members of the U.S. government including the President, Secretary of Defense and State, and Members of Congress on a variety of Asian topics including political/military issues, and insurgency and concurrently as a Guest Lecturer on the Philippines and Sri Lankan insurgencies at the United States Air Force Special Operations School; and as an Intelligence Analyst at the Defense Intelligence Agency specializing in Asian Order of battle, counterinsurgency, and counternarcotics issues. He was assigned to work on DIA Asian issues to include extensive analysis of the insurgency in Kashmir, Sri Lanka, and the Philippines. He also served as counternarcotics analyst for Asia and Central America. In recognition of his work, Nicholas was awarded DIA’s 1998 Intelligence Analyst of the Year award. Nicholas earned a Masters of Arts Degree in Asian Studies with a specialization in Low Intensity Warfare Analysis from the University of Philippines and a Bachelor of Arts Degree in English and the Chinese Language from the Ohio State University.